We studied the imaginary coherence (IC) of gamma frequency oscillations between brain regions of male schizophrenia patients during an auditory oddball task using magnetoencephalography (MEG) and electroencephalography (EEG). Subjects were 10 right-handed male schizophrenia patients, evaluated by the positive and negative symptom scale (PANSS), and 10 healthy controls. Functional connectivity during the auditory oddball task was reconstructed in low (30-50 Hz) and high (50-100 Hz) gamma bands, and represented by imaginary coherence (IC) based on significant oscillatory power changes. We calculated correlations between PANSS scores and IC. In the high gamma band, IC between left occipital and right prefrontal lobe areas during the time window 750-1000 ms from stimulus onset showed negative correlations with total negative scores, total positive scores, the sum of positive and negative scores in PANSS, conceptual disorganization, and social avoidance scores. In the low gamma band, IC between the same areas from 250-500 ms also showed a negative correlation with the conceptual disorganization score. In the same time window, IC between left occipital and right frontoparietal lobe areas in the low gamma band showed a positive correlation with hallucinatory behavior; IC between right temporal pole and left prefrontal lobe areas showed a positive correlation with delusion scores, although these ICs were decreased relative to controls. Functional disconnection of high and low gamma bands in auditory oddball task may play an important role in the auditory processing in schizophrenia patients. 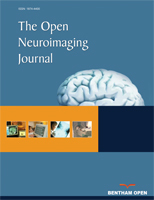 Keywords: Magnetoencephalography, gamma band, functional connectivity, PANSS, schizophrenia, P300. open-access license: This is an open access article licensed under the terms of the Creative Commons Attribution Non-Commercial License (http://creativecommons.org/licenses/by-nc/3.0/), which permits unrestricted, non-commercial use, distribution and reproduction in any medium, provided the work is properly cited.